New century, renewed focus; what can we do for you? 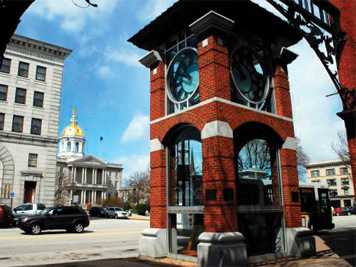 As the Greater Concord Chamber of Commerce approaches its centennial, this is a good time to really take stock and consider where we are and how we can add the greatest value to the Capital region going forward. Our communities change over time, and so must the work we do to meet the challenges and opportunities before us. The details of this organization’s program of work have evolved considerably since we became a chamber of commerce in 1919. The Chamber’s roots go as far back as the 1800s, when we were The Board of Trade. It is a long history with a focus that continually changes to meet current and future marketplace demands. The Chamber’s business plan is forward and varied. It includes economic development, advocacy, tourism, business and leadership development, education, advancement of both young professionals and our creative economy, as well as ways the Capital region can capitalize on its unique assets. We’ve seen some great things happen in the state capital over the past few decades—the rebirth of Main Street and Horseshoe Pond, new downtown market-rate housing options, more restaurants and entertainment venues, public art and award-winning independent shops and businesses that draw workers, families, visitors and entrepreneurs. This is due to the hard work of many energetic and creative people—as Virgil once said, “fortune favors the bold”—many of whom we’re proud to have serving on our board of directors and volunteer committees. 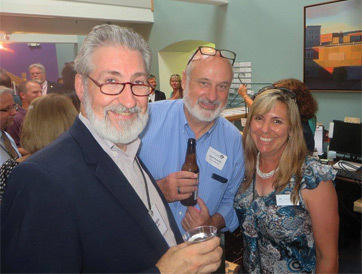 Our board of directors represents leadership across numerous Greater Concord industries—Small Business, Nonprofit, Corporate, Financial, Media, Healthcare, Education, Industrial, Legal, Skilled Trade, Entertainment and Municipal. Our dedicated volunteer committees provide hundreds of hours investing in programs that benefit Greater Concord, like Business Grants for Education, awarded funds that support innovative learning initiatives not covered in school budgets; Capital Area Student Leadership, New Hampshire’s only regional student leadership program; State and Local Government Affairs, both provide information and representation for members on key public and business issues; and other committees who give substantially. Looking ahead, it is time once again to ask our bosses (that would be you, our members) how we are doing and where we should deploy resources for the greatest impact on the communities we serve. To that end, we will be conducting a short online membership survey in the next few weeks. We ask that you please take just a few minutes to give us your thoughts. Let us know what it is that you value most about your chamber membership, and what we could be doing to better serve the business community. Your opinions truly matter. We’ve said it before (and we’re entirely serious)—we work for you. Speaking of new ideas, check out the Chamber’s new logo featured above! We thought a 100th anniversary is the perfect time to bring our brand a bit more in line with our vibrant city. We wanted a fresh and current design that still clearly identifies us as the State Capital Chamber of Commerce. And fellow member Sullivan Creative delivered! Big shoutout to Pam and her team for our new look. Now we’re ready to deliver for you, our members—please look for the survey and let us know what you need. Tim Sink is the President of the Greater Concord Chamber of Commerce. Read more of his posts at ConcordNHChamber.com/blog. The Membership Survey is up and we're looking for your candid feedback. Thank you, members!